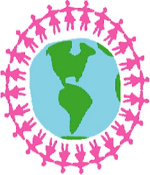 Founded in 2000, GROW (Girls Reaching Others Worldwide) is a Middle and Upper school student-run foundation dedicated to raising money, funding and participating in service projects, and awarding grants to nonprofit organizations and institutions in the Greater Cleveland community and beyond. GROW inspires HB girls to develop an early interest in philanthropy through service. Members of the GROW foundation meet regularly to plan fundraisers and increase awareness about GROW and its mission. Apply online for a GROW grant. Applications and a written proposal are accepted between October 1 and December 17, 2018. Click here to make a gift to the GROW Foundation. GROW in the Middle School encourages and supports educational programming by assisting organizations addressing real community needs. GROW strives to develop civic responsibility especially in the Greater Cleveland community so more people will aid humanity. GROW in the Upper School fosters passion for philanthropy in the HB community and promotes economic and social empowerment through grant distribution, microfinance loans and fundraising. What has GROW funded in the past? In spring 2018, GROW granted more than $20,000 to various Cleveland-based and international nonprofits. We have built a strong relationship with these organizations. Representatives from many of these organizations have visited campus, met with our student members, and shared project goals and outcomes. GROW members have visited their sites and partnered with them in a variety of ways beyond the grant-making process. Trinity Lakewood Community Outreach received funding for the first time this past year to support its health clinics and the purchase of personal care items for young women in need. HB students volunteered at their bi-weekly pantries and also hand-delivered personal care products to area homeless teen girls and young women who have aged out of the adoption process. Girls with Sole utilizes fitness and wellness programs to empower the minds, bodies, and souls of girls from the inside out who are at-risk or have experienced abuse of any kind. The Lacing Up for a Lifetime of Achievement program incorporates positive self-esteem, healthy body image, teamwork, and leadership activities into their programming, which culminated in a 5K race. Rahab Ministries aims to break the cycle of abuse faced by victims of human trafficking. The GROW grant funded Chromebooks for girls and young women residing at the Rahab Safe House. GROW’s goal for the 2018-2019 funding cycle is to award $15,000 to nonprofit organizations. GROW focuses on the needs of children, particularly girls, educational access, hunger, and homelessness. The Upper School GROW also awards loans to support microfinance enterprises in the developing world. Since 2006, the Middle School GROW has partnered with the Crittenton Foundation to help under-served and marginalized girls and young women in the Cleveland area. Their mission is to support empowerment, self-sufficiency, and the end of cycles of destructive behaviors for girls, young women and their families. Through a generous donation from the Crittenton Foundation, GROW will award $4,000 to projects serving the needs of at-risk adolescent women in the Cleveland area. Once you determine your organizational programming matches one of our mission statements, please consider applying for a grant. To apply submit a proposal between October 1 and December 17, 2018. All applicants will be notified by the end of April. Apply online. GROW members will review all completed proposals based on the quality and thoroughness of the proposal and mission fit. Award recipients will receive their grant awards at a reception at Hathaway Brown School in May 2019.